California’s Renewables Portfolio Standard (RPS) requires 50% of utility retail sales derive from renewable sources by 2030. This includes ramping up efficiency, storage and renewable infrastructure, especially rooftop solar projects. 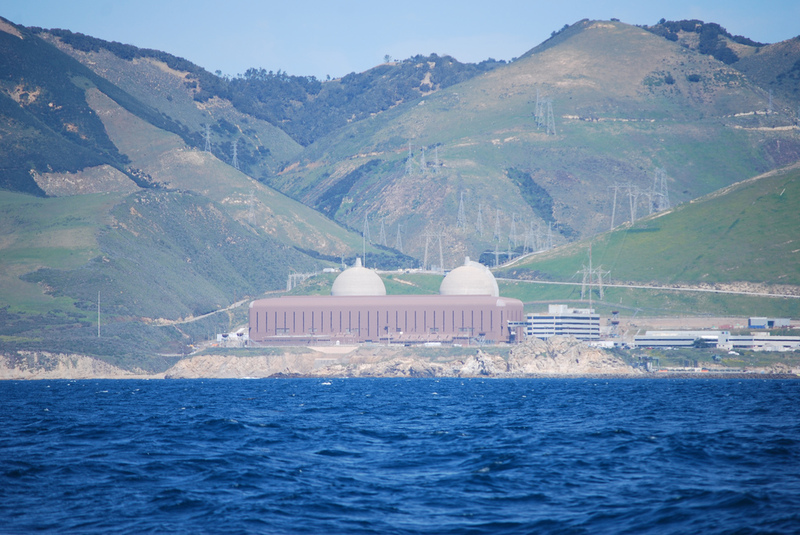 A major California utility, Pacific Gas & Electric (PG&E) is addressing the RPS requirements in part by announcing the retirement of the Diablo Canyon Nuclear Power Plant by 2025 with production to be replaced by renewables and improved energy storage. Although carbon-free, nuclear power is not classified as a renewable energy source under California’s 50% mandate and as a result, the state is beginning a nuclear phase-out. Implementation of the state RPS will require Diablo Canyon to produce at nearly half capacity in the years leading to the end of its functionality in 2025. As a result, PG&E explains the retirement economically, indicating that cutting nuclear production even slightly makes the investment in renewables more worthwhile given the high cost of nuclear operation. Other concerns surrounding nuclear have also been raised, such as plant safety and byproduct disposal. Nuclear currently provides about 60 percent of the nation’s carbon-free power, which some environmentalists and state and federal policymakers believe makes nuclear essential for reaching national climate goals. Concerns about the plant closing revolve around filling the potential power generation gap. Opponents argue that renewable sources are insufficient, and PG&E will likely be forced to turn to natural gas and other fossil fuels to provide electricity to its customers. California’s RPS is highly supportive of wind and solar projects; however, without Diablo’s production, some are asking if these intermittent energy sources will be enough to provide for PG&E’s 5.4 million electric customers. Can emissions and renewable energy goals be addressed without nuclear energy as part of the solution, in California and in other states? Can increasing solar power and other renewable generation sustain California residents after the plant closes? Is replacing must-run energy sources (nuclear) to meet base load requirements with intermittent sources of renewable generation sound long-term energy policy? While issues such as siting and waste disposal must be addressed at the planning and construction stages as well as during operation, it is a mistake to take nuclear power out of the mix. It is crucial to recognize that of all the major sources of electric power, nuclear is the safest in terms of human lives lost per kWh generated. Furthermore, if and when we learn to recycle used fuel, we can expect nuclear to become an extremely attractive source of electric power, technologically and economically. My exhibit “Gallery of Clean Energy Inventions” is linked at padrak.com/vesperman and commutefaster.com/vesperman.html. Displayed are summaries of 16 Larger Generators, 28 Smaller Generators, 20 Advanced Self-Powered Electric Vehicle Innovations, 26 Radioactivity Neutralization Methods, 24 Space Travel Innovations, 14 Technical Solutions to Water Shortages, and a Torsion Field School Network. Discussions of alternatives to nuclear power should include examining new generators of electricity such as the hydro-magnetic dynamo, Tesla’s wireless transmission of electrical power, thorium power packs, focus fusion, and switched energy resonant power supplies. The premise of the California argument is faulty from the start in stating that renewables cannot meet ALL of California’s electricity needs, and second, we should keep old nuclear plants alive. The comment is wrong that California is seeking to meet the output of the nuclear power plant by intermittent renewable energy. Nonsense. The State’s portfolio standard first seeks to maximize energy efficiency. In fact, California has led the nation in energy efficiency programs since the 1970s. Due to the state’s efficiency programs, per capita energy use has remained flat, while the rest of the US has increased by about 33 percent. Second, California is seeking to maximize use of all renewables – geothermal – 24 hour power, biomass organic waste power – 24 hour power, freeflow hydropower and marine energy – 24 hour power, concentrated solar power – 24 hour power, waste heat and CHP – 24 hour power. The state has a potential for more than 4,000 megawatts of additional power from geothermal energy, using current technologies, according to the CEC. According to the State, the sustainable biomass resource generating potential is nearly 3,820 megawatts, California has more than 1,200 kilometers (745 miles) of coastline, and the combined average annual deep water wave power flux is over 37,000 megawatts (MW) of which an upper limit of about 20 percent could be converted into electricity. This is sufficient for about 23 percent of California’s current electricity consumption with commercialized technologies we have today. California has more than 9,000 MW of cogeneration (waste heat reuse) for thermal and electric power and could double that output. Concentrated Solar Power with storage potential from a 2015 study from the Carnegie Institution for Science, found that the amount of electricity that could be generated from solar installations on and around existing infrastructure in California would exceed the state’s demand three to five times over. In a May 2016 Utility Drive article, they reported, “The California Public Utilities Commission (CPUC) has approved plans to allow Southern California Edison to expedite the purchase of battery energy storage to help prevent potential blackouts that could result from the troubled Aliso Canyon natural gas storage facility.” And in fact California has a 1.3 GW mandate for battery storage. The more battery storage, the more photovoltaics and wind can be effectively utilized and dispatched. An offshore wind study for California written by Dvorak, Archer, and Jacobson concluded there was an economically and technical accessible 64.9 GW of electricity , and just roof top photovoltaics in California, according to a study by Kurdgelashvii, Li, Shih, Attia could meet half of California’s electricity needs. In a State known for its earthquakes and tremors, and droughts, why would you want to enhance and promote thermal electric power plants ? And why would you want to select thermal power plants which can have catastrophic consequences when disrupted in both its generation and waste cycles ? There are over 80 renewable energy, energy storage, energy efficiency technologies and sub-technologies that can economically and reliably meet California’s electric load. The idea that we need mega-electric generating plants, needing huge amounts of water, in a state fraught with geologic and drought challenges is pure nonsense. California has historically been a leader of new energy and other technologies that the rest of the US and world has followed. They do not need back seat quarterbacking from others, the nervous nellies, who are afraid of innovation and smarter solutions. California is doing it the right way, in a bipartisan fashion, that should be the gold standard for the rest of the nation. – Scott Sklar, Adjunct Professor, GWU and former New Yorker (so this lauding of California was hard to do). Excellent post; thank you. Nuclear is an enormous and expensive distraction. We have an embarrassment of renewable power sources, energy efficiency and demand response opportunities to more than offset the energy and grid services from nuclear. It is also among the least flexible energy sources we have, hopeless in helping integrate variable renewable energy generation. That’s nonsense. Small modular nuclear can ramp as well as anything and is designed to load follow wind. But nuclear is the ultimate caseload, you don’t vary it, that’s the point, and it’s very cost effective if you don’t close it pre-maturely. 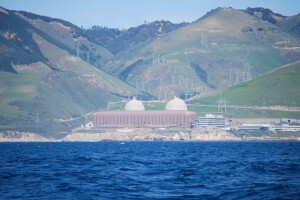 “If the proposal is approved by the state’s Public Utilities Commission, California’s carbon dioxide emissions will either increase or decline far less than if Diablo Canyon’s two reactors, which generated about 9 percent of the state’s electricity last year, remained in operation. If this deal goes through, California will become a model of how not to deal with climate change…. “Nearly every time a nuclear plant has been closed, its energy production has been replaced almost entirely with fossil fuels, including in California. In 2012, when the San Onofre nuclear plant closed, natural gas became the main replacement power source, creating emissions of carbon dioxide equivalent to putting two million cars on the road. Let us be very optimistic and assume that California’s Renewables Portfolio Standard of 50% of utility retail sales by 2030 is met with renewables in combination with increased energy efficiency and energy storage. What sources supply the other 50%? Certainly it won’t be nuclear in California because Diablo Canyon is due to be closed by 2025. Will this other 50% be met by fossil fuels as is happening all over the country as nuclear plants are shuttered? If so, what happens to California’s climate change goals? Will California have to burn more fossil fuels (like natural gas) to make up the shortfall, much like Germany does by burning dirty lignite in spite of its Energiewende experiment and the closure of many of its nuclear plants? Will California have to burn oil like they do now in Vermont after the closing of the Vermont Yankee nuclear plant? This climate change question must be addressed now if we are to understand the wisdom of the energy choices being made in California. An earlier study of California’s energy future, which used all practical non-carbon sources including nuclear, concluded that California could not meet its climate change goals because there was no obvious substitute for high energy density fossil fuels used in transportation, especially in air transport. What should be done about this? This must be addressed now or the RPS is presenting an incomplete picture . We all talk about electric vehicles as a carbon-free means for transportation and California is a leader here. Yet much more electrified transportation means a huge increase in the number of megawatt-hours of electricity that must be produced. What percentage of the miles driven in California come from electric vehicles? Where is all this additional electricity going to come from for millions of electric vehicles and how many more megawatt-miles of transmission must be built? Will the public accept all these power lines? How many thousands of charging stations must be built? How many years will it take to recover the energy investment in RPS and where will this invested energy come from? These questions need to be answered now too. What about costs? NREL’s “Renewable Electricity Futures Study” predicted about a very large increase in the price of electricity as the percentage of the renewable contribution approached 80% ( See this NREL study’s Figure ES-10) and about a doubling of the number of megawatt-miles of the transmission network at a 90% renewable energy penetration ( See Figure ES-8). The public has a right to know what the cost implications are for this RPS. The public has a right to know if transmission lines will run through their back yards in a highly renewable energy future. There is no guarantee that the RPS will succeed. What is the cost of RPS failure, after all, 2030 is only 14 years away? What is the justification for phasing out nuclear? Is it mostly politics du jour or is it based on sound, defensible economics and technology? Why would California take a path that is the opposite of what nature has taught us, i.e., that diversity is essential for survival? Certainly a combination of renewable energy , nuclear, and conservation is more resilient than the narrow mix that the RPS prescribes. Perhaps a dose of history is in order. Recent history gives us an unprecedented earthquake and tsunami leading to three meltdowns at Fukushima, Japan. Yet, in 1815 Mount Tambora blew up sending volcanic ash around the world causing a long dimming of the sun, serious crop failures and starvation, and other effects that would have been especially difficult to deal with in a limited diversity , highly renewable energy future. History and common sense argue for diversity. If we are truly concerned about climate change wouldn’t a combination of non-carbon energy sources including nuclear power give us a better chance on keeping within a 2 degree C temperature rise? It is interesting to observe what is happening in New York State which is following in California’s footsteps in many ways. Two , possibly three, upstate nuclear plants are about to be shut down because of low natural gas prices and claims of economic distortions in the electricity market. The Governor of New York, hardly a friend of nuclear power, has stated that the closure of these two nuclear plants would “eviscerate” the State’s climate change program and has even offered to subsidize their continued operation. It is curious that he didn’t consider renewable energy as a viable alternative to nuclear power, especially with all the options that Professor Sklar has enumerated. Perhaps he is a nervous Nelly, afraid of innovation and smarter solutions like nuclear reactors that produce far less wastes or the economic extraction of uranium from seawater technology developed by our national labs and Japan, making nuclear power another renewable energy source able to provide enough electricity for tens of thousands of years. Judging the usefulness of RPS requires more than agreeing with lofty goals. How many solar panels would be needed, how much energy storage is necessary and what is its cost, how many tens of thousands of wind turbines are needed and where would they be located? Do we have the manufacturing capability to meet the RPS goals in just 14 years? Without quantification of what it takes to get us to RPS’s 2030 vision we have little basis to agree or disagree. It is important not to be taken in by extravagant claims. Yes, distributed renewable energy, which the RPS favors in its roof top panels, nationally increased by 21.3% between 2014 and 2015. However, the contribution of distributed solar energy, nationally, in 2015 was 0.00013 (0.013%) of the national electricity production, so it has a long way to go before it is a major contributor nationally. Now sunny California has a higher distributed energy contribution than the national average, but how much more does it have to expand in just 14 years to meet RPS goals? Finally, just how representative is sunny California to the whole nation, e.g. like New York or North Dakota? There is an old saying that goals without a plan is just a dream. Nuclear is a baseload resource. Renewables are intermittent and non-dispatchable. California continues to build solar exacerbating the mid-day oversupply problem (i.e. Goose Curve). The only realistic option in my mind is to replace Diablo with renewables both in-state solar, out-of-state negatively-corelated wind and a pumped storage project strategically located in the western grid that can permitted in our lifetime and has a secure water right. Traditionally, California has thought of the Northwest as the ultimate “battery” with cheap hydropower. On the bedrock issue of replacing existing base load generation with wind and solar. The point touched on by Herschel Specter needs emphasis. Specifically he asked will the public accept all of these power lines. I had the good fortune to site energy infrastructure (hydro, LNG, transmission and pipelines) in every State except Hawaii for over 30 years at the Federal Energy Regulatory Commission and among the things I learned is that there is not a square foot of land in this country that someone does not think it is the best square foot of land in this country. Now take approximately 30,000 acre per 500 MW installation of wind and 3,000 acres for the same name plate capacity for centralized solar and then adding that major wind and solar tend to exist distant from load centers and you begin to see the problem. The Achilles heel of major renewable energy installations remains land use. So, it sounds good to put out slogans like 50 percent renewables by 2030, but from my perspective on a National level – it ain’t gonna happen. Even if it is possible, with herculean efforts to perfectly insulate all buildings and replace all lights with the most efficient LEDs available, California will need enormous sources of power that can be controlled by humans or automated systems to provide for transportation, communication, refrigeration, mass transit, electric car charging, and a host of other unnamed needs and desires. Sure, it is POSSIBLE to provide power requirements and wants without nuclear energy, but why would anyone want to throw away the best tool in the tool box? It is a proven technology that is reliable enough for risk averse submariners to put their lives on the continued operation of a single nuclear reactor. It is clean enough to seal inside a small space full of people and to keep that sealed environment isolated for weeks to months at a time. It is concentrated enough so that an amount of material that weighs a bit more than my own body weight can provide all of the power a 9,000 ton submarine needs for 14 years using 1970s vintage designs. With a bit more fuel installed, modern subs operate for 33 years without ever refueling. Back to the original question: No, it is not possible to “replace” 2,200 MWe of reliable nuclear power plant that has achieved a capacity factor near 90% for the past 15 years with any combination of efficiency, solar, wind and geothermal. Biomass is NOT CO2 free, no matter how tortured ones logic and accounting might be. The Joint Proposal supports that assertion because it makes no attempt to replace the 17,000 GWh of electricity that Diablo Canyon produces each year. Instead, it sketches, in the widest open terms possible, a promise that PG&E will invest in energy efficiency projects that will reduce power demand by 2,000 GWh/yr before the plant closes and then will invest in another round of bidding for projects that will either produce new electricity or reduce demand for a total of 2,000 GWh/yr between 2024-20131. That is not a promise to “replace.” It is a suggestion that the power from Diablo Canyon isn’t “needed” because other sources will be able to be purchased by PG&E from the open market as needed. It’s pretty much a guarantee that the market price of available electricity will be higher if Diablo Canyon is not a competitive option than it would be if the plant continues to operate. Rod: One clarification. No one claims that biomass is “CO2 free”. The use of biomass is net-zero emissions because the CO2 emitted from the burning of biomass all came out of the atmosphere while the plant was growing. Of course, there may be some fossil fuels used to grow and transport the biomass, so it is likely not completely net-zero, just like all other renewable (and nuclear) energy sources. Dan: The marketers at NRDC, FOE, and PG&E are certainly claiming that biomass is “GHG-free” in their Joint Proposal to destroy Diablo Canyon in the prime of its life. They may not say it in a direct phrase like “Biomass is GHG-free,” but they state that 100% of the output of Diablo Canyon will be replaced by a combination of energy efficiency, energy storage, and qualified renewable energy production. Under current California rules, biomass is one of the qualifying technologies. Virtually zero emission nuclear is not. I’m a big fan of trees and plants, but not of burning them for energy production. Their carbon would remain sequestered if they were used for building, paper, or even purposeful burying that uses nature as a model for how to put carbon away for future uses. CCS is a mythical technology that will never exist in the real world at any scale that would make even a marginal difference in our collective production and release of CO2. It is hugely expensive both to build and operate with numerous unmentioned risks and very few benefits. Rod: What I stated stands. Biomass is generally GHG-neutral since the CO2 emitted is first removed from the atmosphere when the biomass is growing. Buildings, paper, and even burying still release GHGs over time (remember termites!) and buildings displace trees and other plants. While there are no practical (i.e., cheap) CCS solutions available today, they are on their way (I invest in them). It’s unfortunate, but there are no survivable IPCC emissions scenarios that do not include “negative emissions” (i.e., carbon capture). Like biomass, nuclear is not completely “carbon free” since it (currently) takes fossil fuels to mine the uranium, build the power plant. drive the employees to work, etc. But I do agree with you that it’s nuts to shut down a functioning nuclear plant before all the fossil fuel plants are shut down. A fossil fuel power plant is 100 to 1000 times more dangerous than a nuclear plant by about any measure. But the public has an irrational fear of nuclear power and emotions almost always trumps facts. San Luis Obispo is now realizing what is being taken away from them. The PG&E income for the community and education. The lost jobs that will negatively affect the community. Just a number of months ago there was talk to expand their Desalinization Plant and put in a pipeline into the city. We are in a drought and that water is greatly needed. California will do what they have done in the past and they will take the best short term solution that costs the least. In this they are very lucky for California has riches that they do not realize. Better these riches are both carbon free and offer a potential export market to the world. They have the ocean currents off the shore in volumes that dwarf all the other rivers in the United States combined by many times. If you wish to see for yourself look up a 1943 U.S. NAVY Ocean Current Map in Wikipedia. The entire length of California has this source as well as Washington State, Oregon and Mexico. What is best is that there is very limited variability in this source of supply so your renewable system can become base load. That offers some amazing economic potential for almost all other renewable systems are available less than 40% of the time and are frequently not predictable. It can give you a chance with a single source the ability to beat carbon at the low cost game. The problems is that the flow is not fast like tidal flows so you have to build big to make any project useful. This will allow you to meet the requirements of Betz’s Law and by going big you can also largely eliminate most of the potential damage by wales and other sea mammals. The world is and has been following a very logical course of trying to extract energy from sources with the highest energy density possible. They have gotten very good at that but the problem is that it contains a trap for the higher the energy density the higher the variability. I would state that for all renewable energy systems variability of supply is your highest cost. A base load renewable offers other advantages including the elimination of most of the need for utility scale batteries and the need for the smart grid. The following is truly possible. You can take the complexity and costs of both those systems and contain them within your power plant. Any over supply can be adsorbed by having a variable demand that can be altered quickly. That would allow you to generate hydrogen on a utility scale. If your capital and operational expenses are met by your on grid performance any power you can not sell but can turn into hydrogen would be largely free in economic terms. Making hydrogen and the potential for carbon neutral liquid hydrocarbon production to be cost competitive.